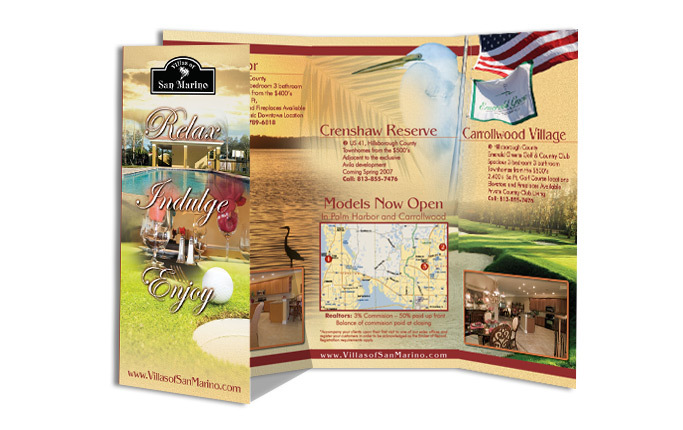 Using strategic layout and compelling imagery, custom designed brochures can attract the targeted customer you desire. No matter what you need to promote, the succinct and engaging format of a brochure will be an invaluable part of your marketing efforts. 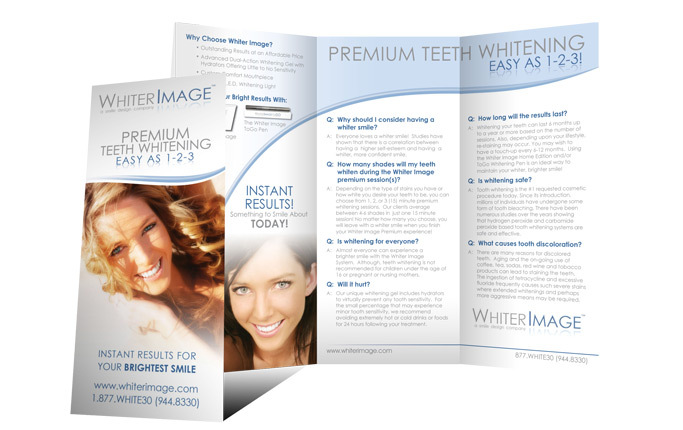 A brochure can give you instant credibility. 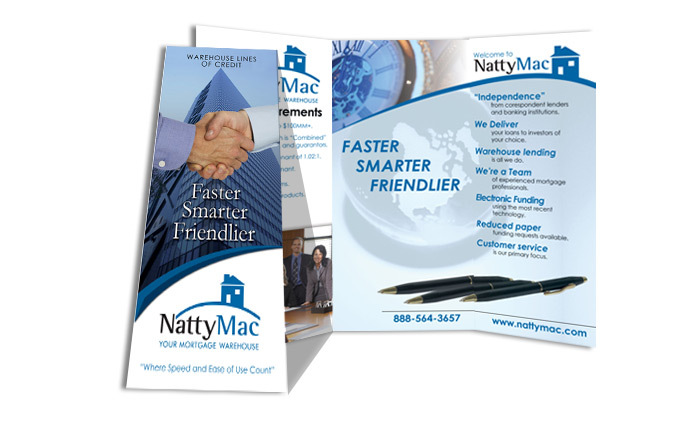 While having business cards and letterhead is expected, a brochure dives in just a bit deeper providing a more polished and well rounded communication. In today's competitive market, people are overwhelmed with product placement. Brand recognition is important and a brochure can help your company become recognized. Customers will see your company logo and immediately make the connection between you and the products or services you offer. Options for brochures are virtually endless. Use them as a small booklet, mailer, point of sale piece or leave behind. 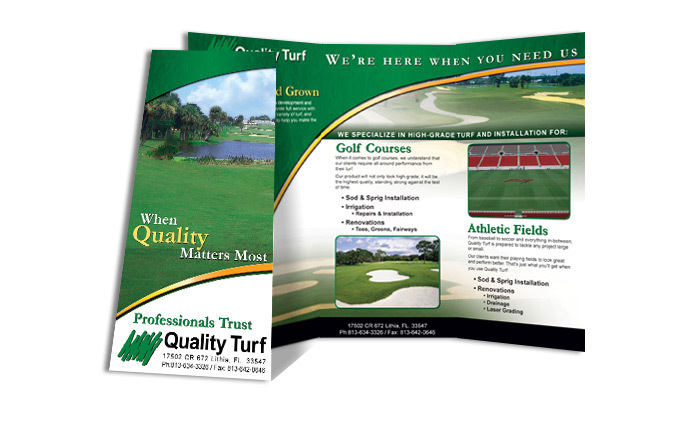 The variety brochures provide make them an excellent choice for marketing! 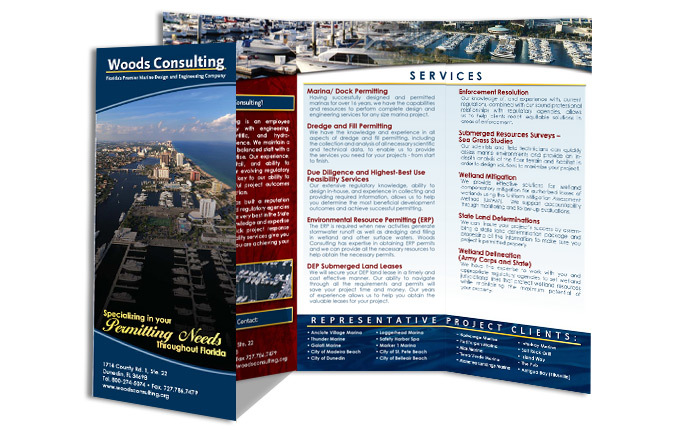 Also known as a "rack card", these one page brochures are a great way to show customers some of the other products or services you offer. More for information on this type of brochure, click here. 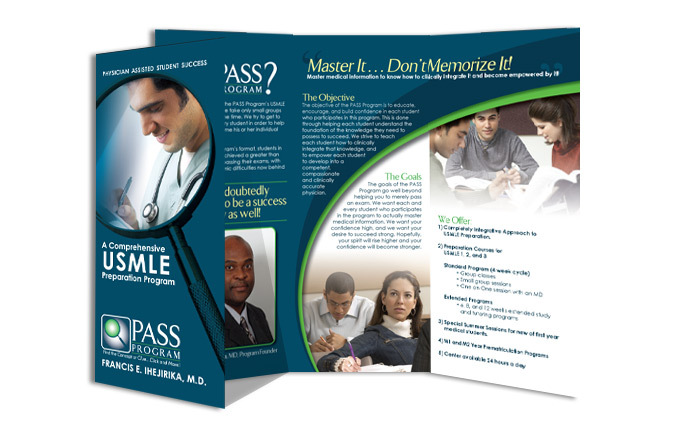 A standard size 8.5" x 11" brochure design works well in folder presentations and sales meetings for small businesses. For more substantial mailers or point of purchase. This brochure design layout is typically as an abbreviated catalog. Looking for something outside the box? Give us a call. 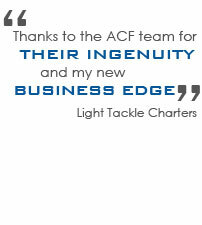 See examples of our brochure designs here. Have a question about brochures? Contact Chris at 813.235.6357 x 102 or fill out our contact form.